Looking back on an action-packed February 2 in which we celebrate Super Bowl Sunday to find more than might be expected behind the sports, advertising, and half-time performances and reflect on the lessons of the movie Groundhog Day. See the movie trailer! As a fan of Bruno Mars, Stacy had to share her love, and that the country is certainly now on board. Malayna talked about inspiring sports films, which is her main way of watching any sport. And her experience of Superbowl Ads and Halftime Shows as viral videos while living abroad. 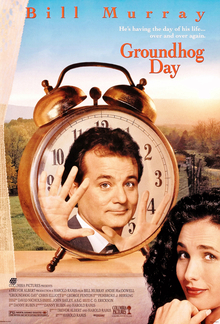 And of course, her love of the movie Groundhog Day and how all faiths seem to have embraced it as an example of what they believe. Check out this great article from The National Review about it, that we mentioned on the show.